International Collaborations - TECHLAB, Inc.
TECHLAB® partners with health research organizations to make our products available for clinical and epidemiological studies of diarrheal diseases. 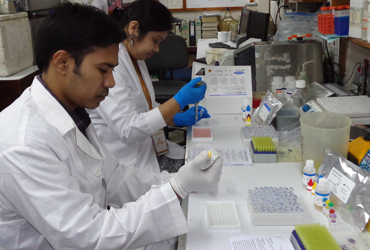 The International Centre for Diarrhoeal Disease Research, a health research institution in Dhaka, Bangladesh, uses TECHLAB® assays for routine surveillance screening at its diarrheal disease hospital. The center also conducts protozoan parasite research in collaboration with TECHLAB® and Dr. William A. Petri, Jr., of the University of Virginia Medical Center. 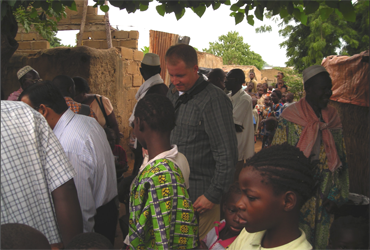 With a grant from the Bill & Melinda Gates Foundation, the University of Maryland School of Medicine’s Center for Vaccine Development used TECHLAB® diagnostics for a three-year study of diarrheal diseases among young children in developing areas of Africa and Asia. The Global Enteric Multi-Center Study (GEMS) is the most extensive study of childhood diarrheal diseases ever conducted, with more than 22,000 subjects from seven sites. Researchers evaluated about 40 pathogens to determine the most common causes of diarrheal diseases. GEMS researchers visit Bamako, Mali to lead training for a study site.